We’ve been waiting for the fiber-optics network to be completed for 3 years now as it was promised by the previous Telecom Ministers. I hope this time things will work out and people will finally be able to enjoy more than 1 lousy Mb connection but if you read Habib’s report on this matter, it doesn’t look like it’s gonna happen anytime soon. Let’s not forget the ongoing feud between the Telecom Ministry and Ogero. Lebanon recently dropped 6 spots in the Download Index Report and now ranks 158th out of 182 countries. Telecom Minister Nicolas Sehnaoui said Thursday that more than half of Lebanon’s telephone substations were linked to a long-awaited fiber-optics network, and vowed to extend coverage to the remaining areas within the next six months. 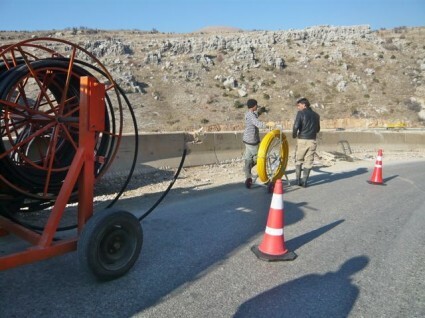 “After two years of work, the fiber optics network is ready in 170 telephone areas, and we sent a letter to [state-run telephone land line operator] OGERO to detail their financial and technical requirements to expand it to the remaining areas, which do not yet have DSL,” he said. How do you think Fiber Optics will improve things? 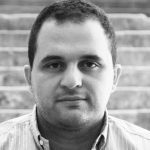 The biggest problem in Lebanon isn’t the speed of the internet is the bandwidth limitation. Whats the use of a 10Mbps or 20Mbps connection if you can only download 20Gb a month? I currently can’t even ask for more than 1MB in Jounieh simply because the “Centrale” cables are too old and can’t handle more than a 1MB. When all networks will be linked to Fiber Optics, we will have access to relatively better speeds than the ones we currently have. The bandwidth problem is true but it’s one related to Ogero apparently (not an infrastructure thing) which is why I mentioned the problems between the two. I am hoping once the fiber optics are installed, Ogero would have done the necessary in terms of releasing more bandwidth. DSL networks are also known for having lower capacities than other networks e.g: Cable or fibre optic. Fibre optic should dramatically increase capacity, which should allow higher limits, and could even provide unlimited caps, but let’s be realistic here, Ogero will never allow that. When all networks are going to be coupled to Fiber Optics, we are going to have access to comparatively higher speeds.